Morning Gloryville Manchester – Episode 10 – We’re Back! Morning Gloryville Manchester is returning and our first theme is Indian Summer. We are giving thanks to how Indian culture such as the nature, food, festivals and history has made a positive impact to the world and added to the rich and vibrant culture of Manchester. We will also be celebrating Manchester Pride and LGBTQIA+ bringing people from all walks of life together to connect and unite on a different level. Imagine stepping into a place filled with colour, art, expressive dancing and music to get you lost in the moment as you consciously rave your way into the day. This Morning Gloryville Manchester party offers inspirational, energising music and mesmerising visual entertainment as well as free massage, organic coffee and smoothie bars, yoga and personal motivation from trained and costumed performers. How would you like to honour Indian culture as a city? Would you like to take colour inspiration from beautiful traditional clothing? Would you take inspiration from traditional Indian body art? Morning Gloryville is not about dancing or prancing, its about breakfast raving; bringing the same sense of euphoria, ecstasy and oneness, only you’re completely sober, awake, conscious and authentic. – Little ones must wear ear defenders!! – Waste is so unsexy – remember to BYO water bottle! – Bags are a hazard on the dance floor and take up valuable dance space meant for humans who need to express themselves. Please bring change for the cloakroom. Your bags will have their own party in the cloakroom when nobody’s watching. – bRavers enter at their own risk. Morning Glory Experiences accepts no responsibility for glitter outbreaks, sore cheekbones or laughing pains. – Smile! 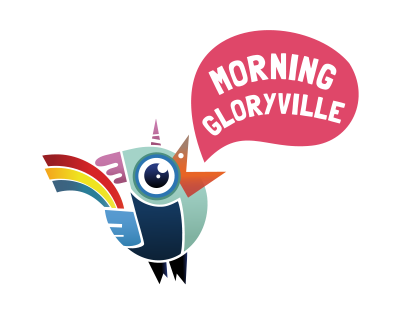 Morning Gloryville will be recording this event. Please be aware that by entering the event, you irrevocably consent to and authorise without compensation MG, its successors, assigns and licensees to use your voice and likeness and to photograph you and/or make sound, audio and/or audio-visual recordings (“recordings”) of you and to use the same worldwide for exploitation in any and all media, whether now known or hereafter devised, for any purpose whatsoever in perpetuity. All such photographs and recordings to be the sole property of MG and you release MG, its successors, assigns and licensees from any liability on account of such usage. Born lover, dreamer and traveller. People are my passion-exploring new cultures. Believer in the holistic natural healing and the power of dance, music and laughter, let those be our medicine!